As part of the build up to the long-awaited networking event Re-Connect 2014, Re-Connect GH, Circumspecte and threesixtyGH held the Re-Connect Entrepreneur Spotlight Panel on December 20, 2014. It created a warm and casual atmosphere for spotlight nominees to come together and share insights on entrepreneurship and start-ups in the sub region, primarily focusing on their journeys, challenges faced, vision and the impact they hope to achieve. A Circumspecte-powered initiative, the Re-Connect Entrepreneur Spotlight celebrates Ghanaian entrepreneurs and brands that epitomize local innovation and global orientation and help drive socio-economic development. 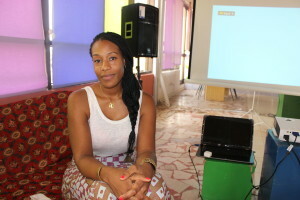 The discussion was hosted by the iSpace Foundation, moderated by Dzifa Akua and filmed by Rita Kusi and the threesixtyGh crew in Osu, a suburb of Accra. The event was also broadcast live via Twitter (#Reconnect14). The panel comprised of spotlight nominees chosen from over a hundred budding entrepreneurs in Ghana. 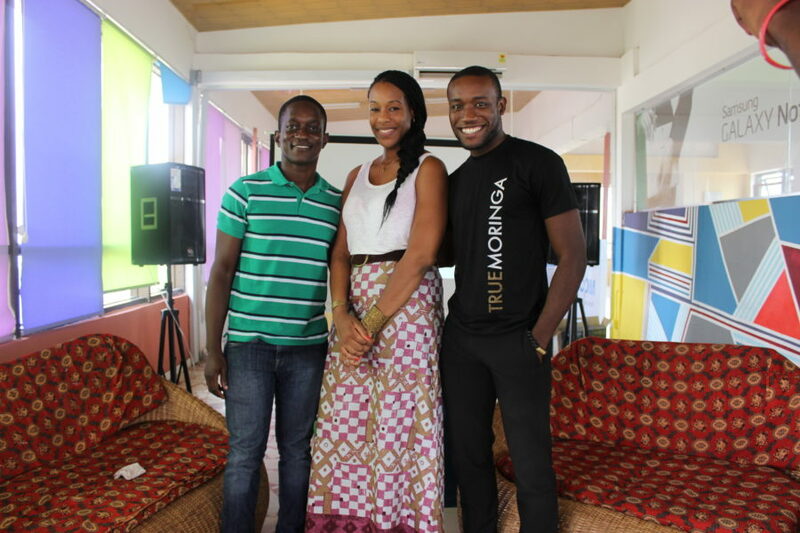 They included: Kofi Ampomah of Adventure Junkies, Madonna Kendona-Sowah of Raffia, Kwami Williams of Moringa Connect. The discourse began with the panel introducing themselves. Madonna Kendona-Sowah is the founder and creative director of Raffia, a fashion house that incorporates traditional hand-woven textiles from northern Ghana into contemporary fashion items. Kofi Ampomah is a co-founder of Adventure Junkies, a domestic tourism organization that puts together trips, honeymoons, corporate retreats to various exciting destination in Ghana. 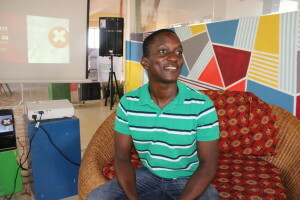 Kwami Williams is with Moringa Connect, a group that creates a supply chain for local small-scale farmers and manufactures cosmetics from the seeds of the Moringa plant. Speaking on the challenges they had encountered in running their various enterprises, the panel highlighted logistics as a major barrier. Kofi noted how difficult it was initially to get information about the various tourist attractions in Ghana. Kwami also shared on how the prevailing socio-economic conditions, mainly power supply, is adversely affecting the fixed prices of their products. On the impact they aspire to achieve, Adventure Junkies hopes to share how they have come to know and experience the splendor of Ghanaian culture with natives who have forgotten about it and the rest of the world. Madonna and her team have a two-prong approach. The first is to project the native skill and fabric in contemporary fashion and the second is helping with education in the sub-region mainly by donating ten percent of each Raffia item sold to Youth Alive Ghana. Moringa Connect seeks to target small-scale farmers, foster their distribution networks and add value to their products. Being successful people in their various fields, the panel had great advice for the next generation of aspiring entrepreneurs. They encouraged them to work hard to find practical solutions to problems they are passionate about. They should also be open to modification of their initial ideas, ask many relevant questions and to educate themselves properly on whatever it is they want do. Focusing on one’s minimum viable product – the core idea that will allow the venture to succeed – is also essential. The Spotlight nominees spoke about the various resources that have aided them on their journey. They emphasized the essence of having good mentors to guide and direct you in making vital decisions and shared their insight and experiences. The internet was also a tool they encouraged the constructive use of. Considering the modern age and the relative ease with which information can be located, they encouraged aspiring entrepreneurs to use the web to find all the requisite information they need to grow their businesses. “When you wish upon a star, no request is too extreme. The responses on how they seek to counter African reluctance to venture into new business areas which, from the surface, might not seem feasible were unanimous. They all agreed that the solution lay in prompting Ghanaians to pay attention to the things that are traditionally theirs, educating them on their values and possibilities that could arise from all the abounding resources. The Entrepreneur Spotlight panel brought together stakeholders and entrepreneurs in an informal setting to share their insights and celebrate their contributions – a preview of what was to come on December 30 at Re-Connect 2014.